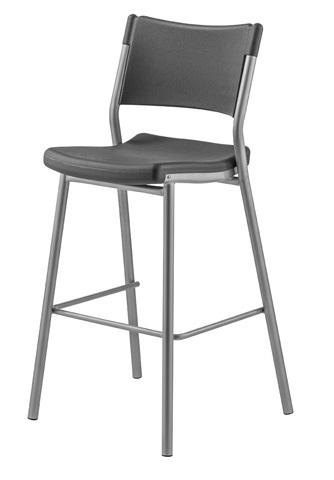 Charcoal slate colored bistro height stools feature ergonomically curved plastic seats and backs mounted on a sleek 1-1/8” tubular steel frame, with silver tone powder coated paint. 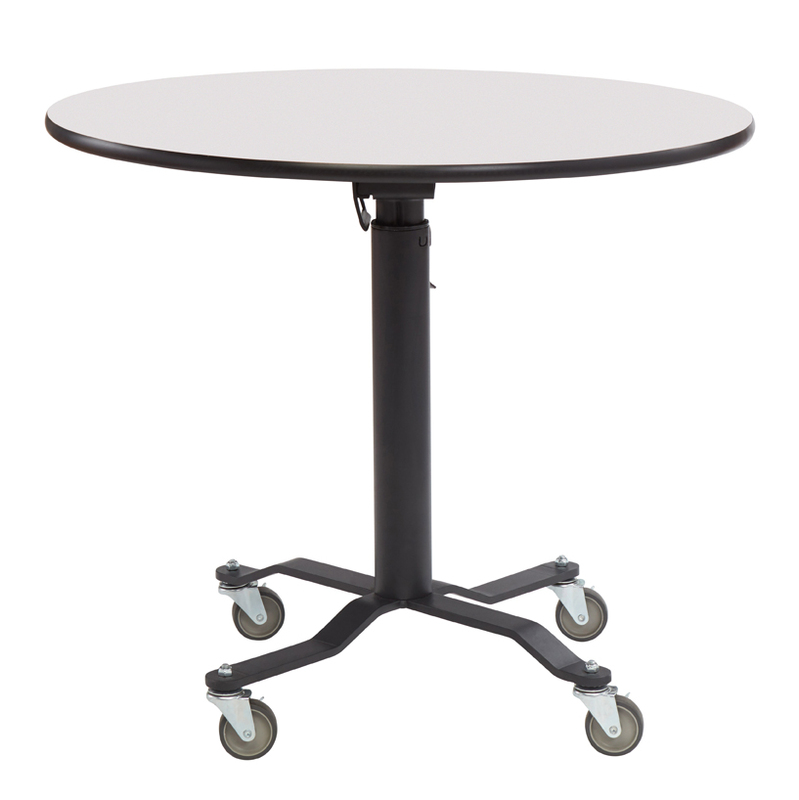 Rubber floor friendly glides will protect floors. 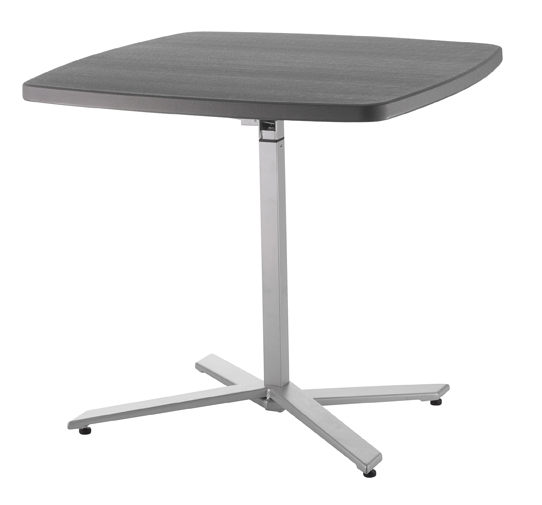 Lightweight, scratch resistant and durable, the attractive top will complement any décor, and the sleek contemporary legs will provide a perfect airy look. 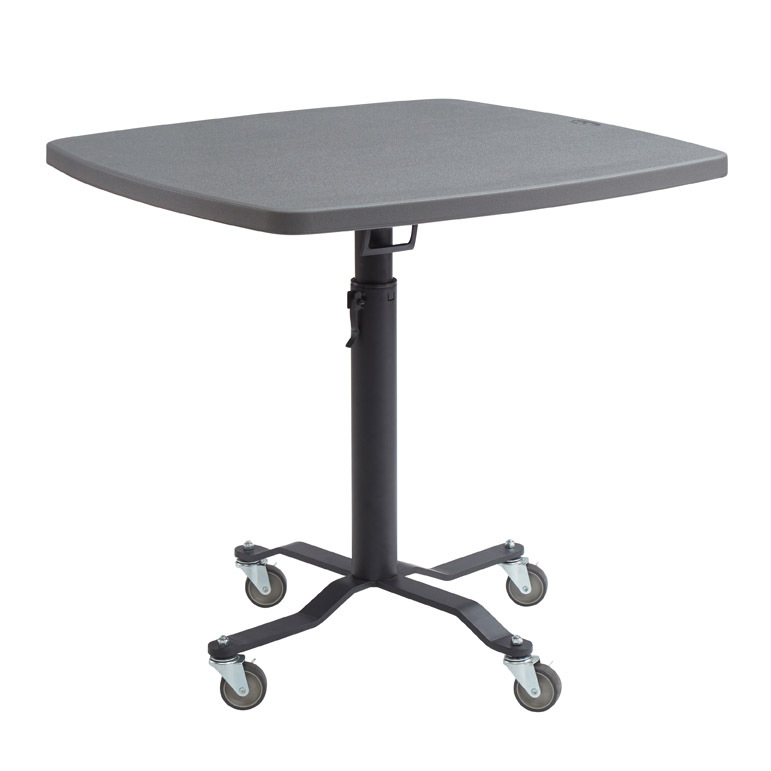 Matching tables offer every convenience you’ve ever wanted, built into a gorgeous charcoal slate colored 1-3/8” thick plastic top, mounted on a matching silver square frame. 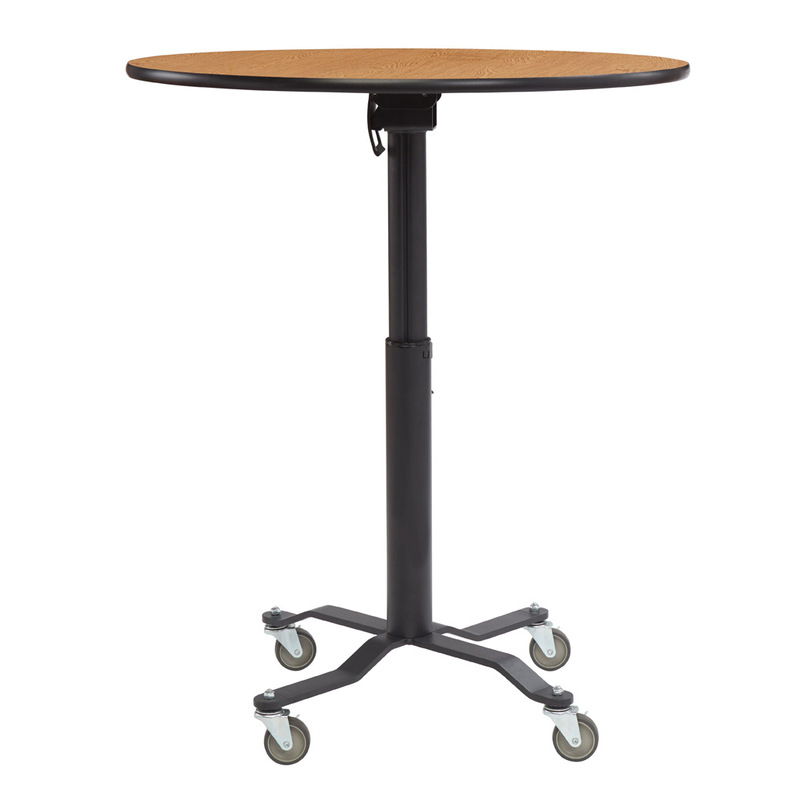 Use as a café table in standard 30-inch table height, or effortlessly raise to 42-inch bistro height, with a simple pull of the concealed pneumatic lever. 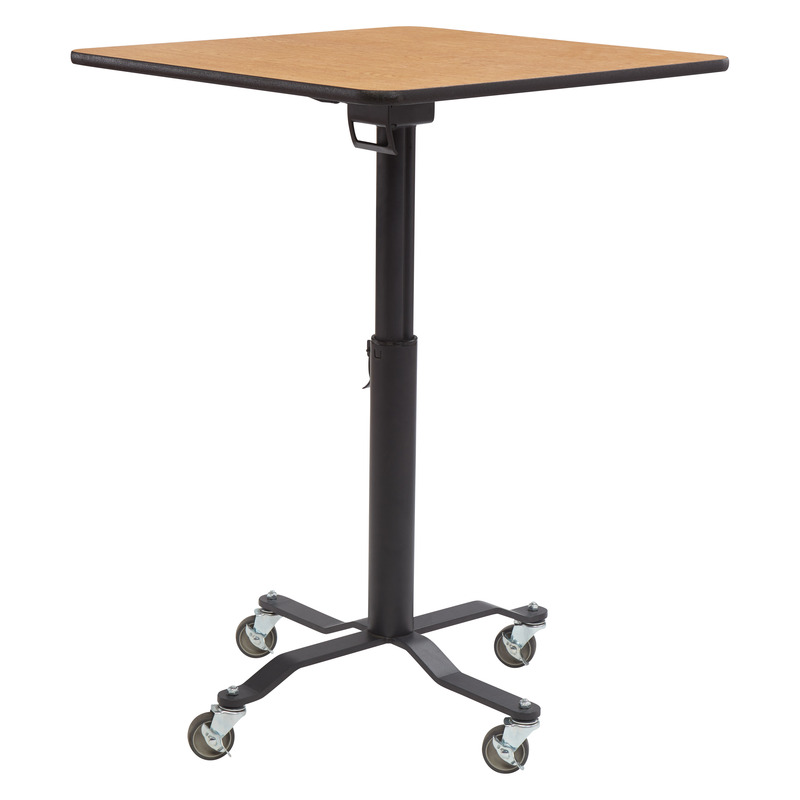 36”W x 36”D with contoured corner edges, they are perfect for your break room, cafeteria, or lunchroom. Seat height is 30" Seat size is 17"x 16" Overall height is 42"